Conal McCarthy wants to do research that helps people—examining the care of indigenous objects, museum practice and the mix of Māori and European ideas. For Associate Professor Conal McCarthy, research is at its best when it has a social purpose. “Research shouldn’t be just intrinsically valuable. It should make a difference in people’s lives as well as having an intellectual value. That type of research is more personally satisfying to me, and I also believe it is our moral responsibility to do it,” he says. 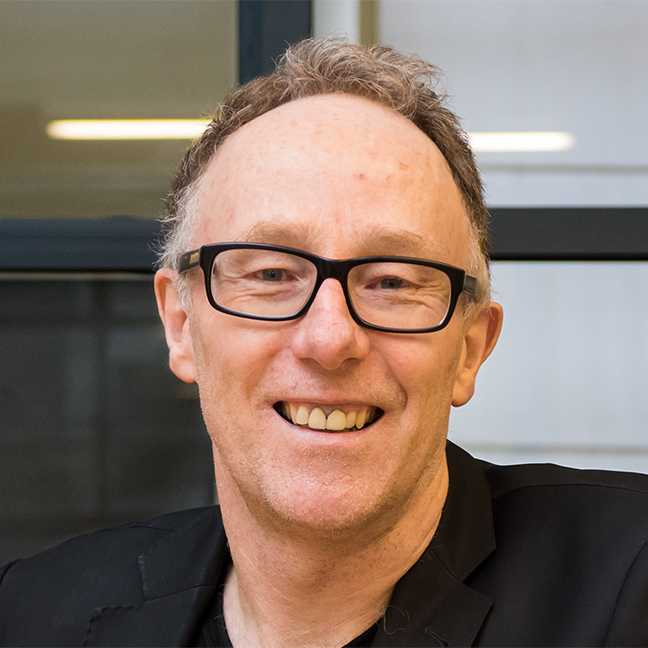 Associate Professor McCarthy brings his diverse background as a high school teacher and a museum professional to his role as Director of the Museum and Heritage Studies Programme in Victoria University of Wellington’s School of Art History, Classics and Religious Studies. He sees himself as an interdisciplinary scholar working at the intersection of history, theory and practice in public culture. His wide-ranging research interests include historical and contemporary Māori engagement with museums, how museums care for indigenous objects, museums in China, and New Zealand and Māori art. Associate Professor McCarthy says museum studies is a relatively new subject with a comparatively small number of practitioners in New Zealand, which makes it easier to forge connections between academics and people who work in museums. He and his colleagues at Victoria have the added advantage of being in the same city as Te Papa, the Ministry for Culture and Heritage, the Department of Conservation and other key organisations, which encourages teamwork and collaboration. My research matters because … Bringing together theory and practice helps museums and heritage organisations to enhance their social impact by engaging communities, challenging minds and changing lives. One of the inspirations for my research has been … My PhD supervisors, the late Michael Volkerling (arts administrator, architect of Museum of New Zealand legislation, founding director of Victoria’s Museum and Heritage Studies programme) and Jenny Harper (director of Christchurch Art Gallery, curator, art historian and force behind the establishment of Victoria’s Adam Art Gallery). The best thing about my job is … Being able to work with one foot in the University and one in the museum, integrating training, professional development, research and teaching. My career highlight so far has been … Working with leading international scholars on joint projects: Anne Salmond (Auckland), Tony Bennett (Sydney), Simon Knell (Leicester) and Sharon Macdonald (Berlin). My advice to aspiring researchers is … Ask so what? What does this research do in the world and how does it help people? Associate Professor McCarthy’s research contributes to Victoria’s ‘Cultivating creative capital’ and ‘Enriching national culture’ areas of academic distinctiveness. His second book, Exhibiting Māori: A history of colonial cultures of display, was based on his PhD thesis. His third book, Museums and Māori: Heritage professionals, indigenous collections, current practice, expanded on this work. The first critical study of its kind, the book featured practical examples and interviews with professionals from a wide range of institutions to explore how museums in New Zealand care for indigenous objects. This has led on to other new book projects on related topics, one on the history of Te Papa and one on indigenous museology in countries around the Pacific rim. In 2015, Associate Professor McCarthy wrote Museum Practice, the fourth in the International Handbook of Museum Studies series. “I wanted to explore museum practice: what people actually do in museums. We have lots of abstract ideas to do with exhibitions, collections and management of museums, but I wanted to bring museum studies into alignment with professional practice,” he says. Associate Professor McCarthy’s latest project sees him working with Professor Anne Salmond from the University of Auckland to explore the interweaving of Māori and European ideas, institutions and technologies in the first half of last century, which had a strong impact on the arts, sciences, law and economy. The Marsden Fund-supported Te ao hou: Transforming worlds in New Zealand 1900-1950 draws together a rich legacy of ethnological research by scholars such as Āpirana Ngata, Elsdon Best and Sir Peter Buck, he says. He expects the project to result in two books and possibly an exhibition and a website. Associate Professor McCarthy also brings his commitment to professional practice to his teaching. He leads postgraduate teaching and supervision in the Museum Studies and Heritage Programme and makes it a priority to ensure graduates can tackle a range of jobs in the broader museum sector when they enter the workforce. “Our graduates have a strong grounding in the New Zealand situation and in tikanga Māori. They are industry-ready because we stress the importance of work placements, internships and field trips,” he says. “People often think about curators in white coats handling paintings but museum and heritage conservation is much wider than that and includes areas such as working with monuments or trees or landscapes. We encourage students to take courses or explore topics or work placements in areas they don’t know about. Many of the jobs available to graduates of the programme are in the regions, often in smaller institutions or with community groups. Associate Professor McCarthy believes this gives graduates more opportunities to try “a little bit of everything” than they would get working in larger institutions. He says he has found it very professionally satisfying to be able to work so closely with the museum sector in both his research and his teaching.